Not all American baby names are American by origin. Mostly, the American baby names are inspired from the Bible and other cultures and countries from all over the world. Though, the pronunciation of these names has been changed, and that is why they may appear more American. Like all other countries and their customs, American names are also raised from the family tradition. Child is named after a family member to keep the memory alive in the future generations. Names can also be given before any close friends, other family members, parents or even grandparents. It is a very common trend in American families to pass on the name to the next generation. Apart from the Biblical names, you will also find common celebrity names in America. Children are named after any celebrity, sports person etc. If you are picking up any American name for your child, make sure that the name is perfect from every angle. Its pronunciation, meaning, rhyming, length etc, all are important. Rhyme it with your surname or any other given name. It should also match with the personality of your baby. Do not choose cute baby names as they will look nice, until the time your baby is small, but when he grows up, the same name will seem like a disaster. So, by keeping all these points in mind while finalizing the name for your baby, you can avoid all the embarrassing your child can face in future. Below you will find some famous American names, which will help you selecting the one for your little one. Jacob – It's a biblical name originated from Hebrew language. It means “the one who grasps the heel” as the Jacon in Bibke was born holding his brother's heel. Michael – It is also a biblical name, which means “the one who is like God”. Joshua – It means “Savior”. It is also from Hebrew language. Mathew – It is a biblical name, meaning “Reward”. Andrew- It means “Brave”. It is also biblical name. Joseph – It is again a biblical name, which means “Addition”. Ethan – It means solid and strong. William – The name is from German origin and it means “Protection”. Anthony – It is a Latin name and it means “the one who holds the Christ in his heart”. Ryan – It is an Irish name, which means “Little King”. Daniel – It means “God is my judge”. Alexander – It is derived from the Greek, which means “Defender of men”. John – It is a biblical name, which means “Gracious”. Dylan – It is a Welsh name, which means “the sea”. Emily – It is from Latin origin, which means “Industrious”. Emma – It is from German and English origin, which means “Whole or Universal”. Madison – It is derived from the name Matthew, which means “Gift”. Hannah – It is a Hebrew name, which means “Gracious”. Olivia – It is a Latin word, which means “Symbol of Peace”. Alexis – It is from a Greek word, which means “Helper”. Elizabeth – It is a biblical name, which means “Oath of God”. Ashley – It's an English name, meaning Dwelling in the Ash Tree Grove”. Sarah – It means “Princess”. Isabella – It is a Hebrew word, which means “Devoted to God”. Grace – It is an English word, which means “Favor of God”. Lauren – In Greek culture, it is the symbol of Honor. Jessica – Originated from the Shakespearean origin. Sophia – Originated from Greek and it means “Wise”. Natalie – It is a Latin word, which means “Born on Christmas”. These are few American names for boys and girls. You can find the one for your baby. Happy Hunting!! Is Soha Hindu name or Muslim name, what does it stand for? Can I add more letters to it so that it will have more importance numerically. Like every month December 2013 chose its winner of Babynology Photo Contest. 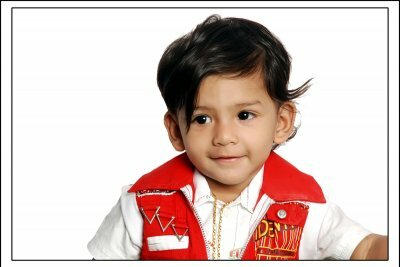 Since the inception of the baby photo contest, Babynology witnesses more than 13 lakh viewers every month. The selection has to go through many rounds of qualifications. Out of the eleven employees working for the site eight have been chosen specifically for this contest. They filter entire data and monitoring spam to stand near conclusion. This is the reason why Babynology is the most sought after site for parents. This month two babies were chosen for their being photogenic and adorable looks. Indian baby boy Harshit Ramesh Manukonda has been chosen by public voting. Harshit has outshined others as the most voted baby for his naughty gestures and a cute red jacket on. His hair has been flying untamed and naturally. People from all over India and World have voted him for his looks and photo composition. Arianne Marie Lea Marie Alvarez is the winner by judge voting. She is an adorable little kid from the Philippines. Her crown cap studded with pink and white roses is her winning forte. The photographs have been taken in a natural way on the floor. 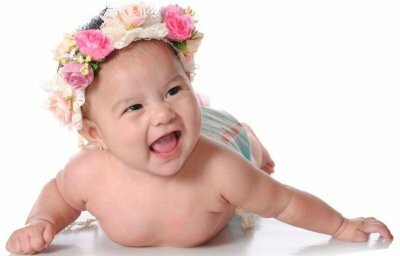 Arianne is five months old and seems most cheerful among the other contestants. Discover more about name Milan, including its origin, meaning and much more detail.